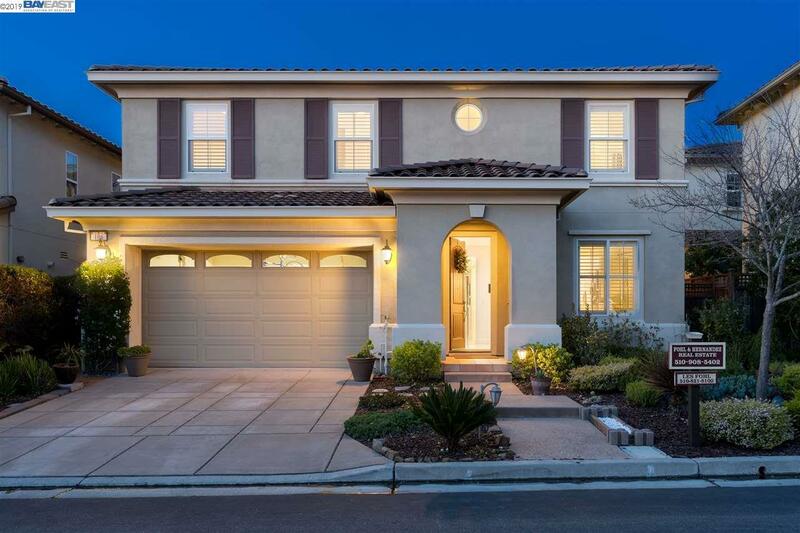 Beautiful 5 Bedroom/4 full bath home in the gated Stonebrae Country Club Community, situated in the Hayward Hills. From the moment you enter, you'll feel right at home! Enjoy gleaming tile flooring, high end carpeting, and plantation shutters throughout. Large formal living, dining & family rooms. Functional kitchen layout W/quartz counter tops, stainless steel appliances and beautiful oak cabinetry. Desirable floor plan W/full bedroom and bathroom downstairs. Upstairs includes a loft W/Built in desk/office space and laundry room. Fabulous master suite w/soaking tub & extra large walk in-closet. Large rear yard is perfect for gardening and entertaining! Pre-wired security sensors on all entry doors for alarm system. Home is "like new" and conveniently located in the "Heart of The Bay" so your commuting Buyers are just a short drive from BART, I-880/92, SF, Berkeley, Peninsula, South Bay and Tri-Valley.